Nikita came to the hostel door. I saw him behind the security personnel. He was a lanky man with thin features, tall and glasses. He said his name was Nikita and I switched to Russian immediately. He drove me down the dark night streets of Windhoek. It was a full moon but if felt darker than the dunes of Gobabeb. The lights of buildings and streetlights showed us the way. The cars zoomed on what was the wrong side of the road for me. We entered a suburb, recognizable by tall walls and electrified fences, a staple of developing country. The door was opened by a round-faced black man with a kippa and a grey beard about two inches long. I shook his hand and saw three other men around a beautiful painted granite table. 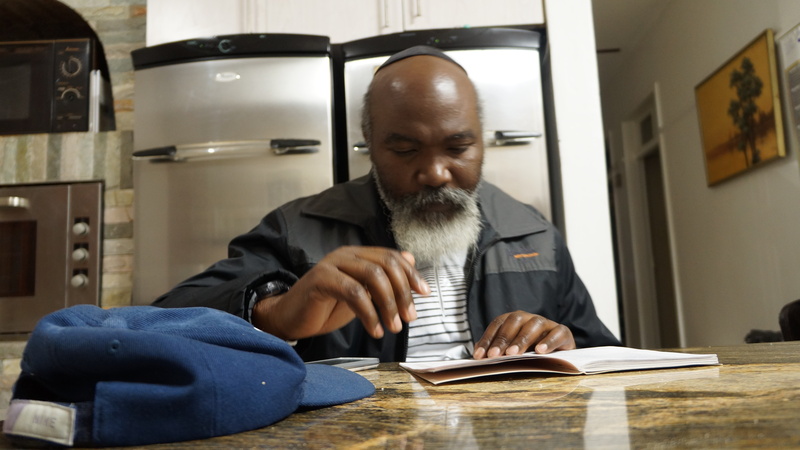 A quiet professorial type, a native Herero, Zochar, an Israeli with a blue kippa, Tova sandals and a long black beard which moved as he spoke. 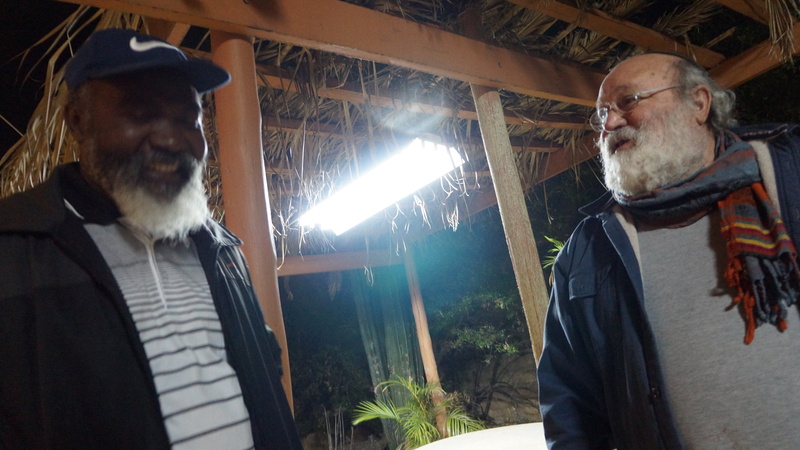 At the center was a jolly man that looked like Santa with a South African British. 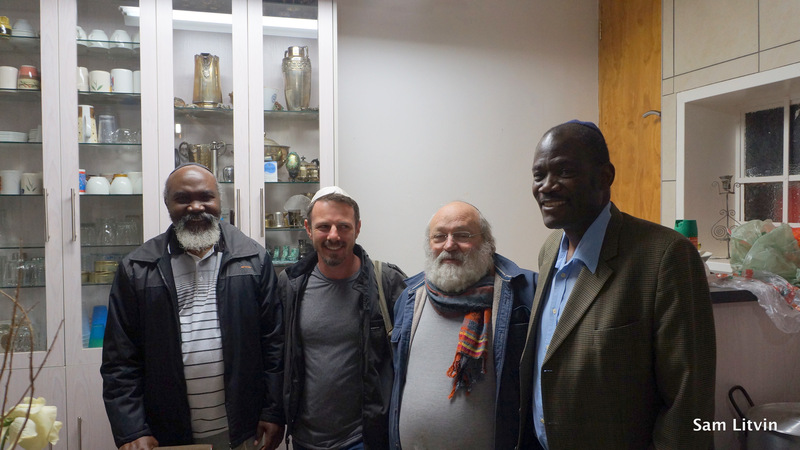 This was Zvi, the caretaker of the Namibian Jewish community. 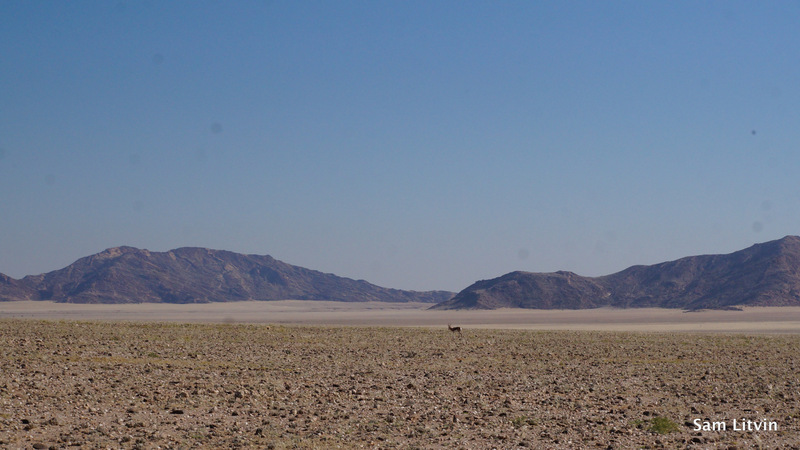 For the next two hours, we discussed the history of the Jewish community of Namibia, their connection to the Herero people and other topics concerning Judaism. 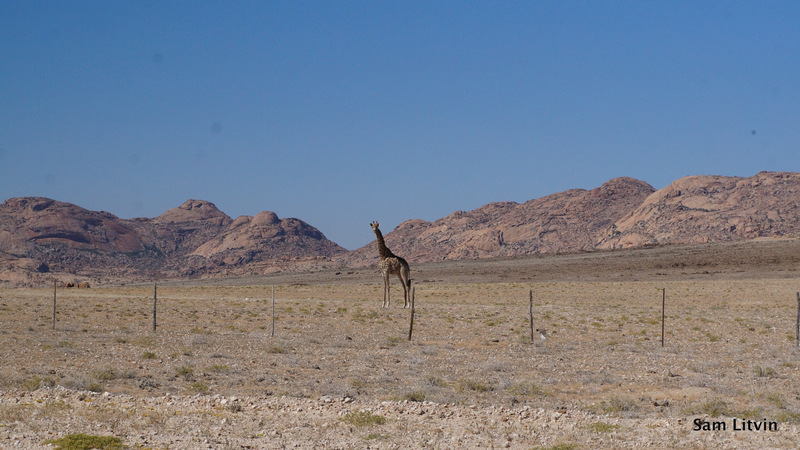 Most people come to Namibia for animals and nature, but I feel that it is a place for people. According to Zvi, the Jewish community began with Litvaks arriving to join the German Jews who arrived during the colonial days. Jews arrived to escape Germany as they fled to South Africa which at the time administered Namibia. South Africa took over Namibia after WWII. It lied to Namibians telling them they can vote for independence, but in reality, gave them the option of voting for SA to be free or to stay in the commonwealth. The community was a lively one although one with many arguments. German Jews liked things to start on time, Lithuanian Jews not so much. Their synagogue was in the center of Windhoek. 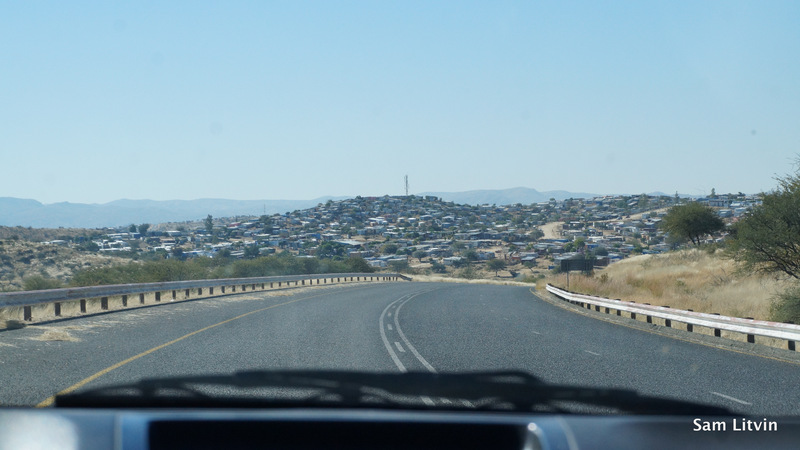 Windhoek means wind corner in Afrikaans is the capital and it had 5 mayors of Jewish descent. The community boasted a lot of influence, many Jews who came made money in diamonds and infrastructure. Most, however, moved out. Windhoek did not have a University until recent times, Namibia received independence from SA only in 1992, so as Namibian young left for Johannesburg, they rarely returned. Thus one by one, the community slowly shrank as Jews moved to Israel or America or anywhere. Today there are 40 Jews in Windhoek. 7 are members of the synagogue which rarely has a minyan. Zvi does his best, putting on Seders, often cooking himself and shipping kosher meat from Johannesburg. He has often tried to develop an industry of Kosher meat. Meat is a staple of Namibian food. With the dry savannah environment, it can be compared to Argentina and Texas. Lots of game and beef, so much so that many people rarely eat anything other than meat. However, because the Namibian government was supported and supported Palestinians while Israel supplied support and arms to South Africa, the government today has a consulate but not an embassy, and thus no official diplomatic ties to Israel, making trade difficult and costly. We ate butternut soup, a Namibian vegetable, prayed and enjoyed each other’s company. At the end of the night, the professor drove me home. He stayed in Bulgaria while in exile and married a Bulgarian woman. He converted to Judaism after the many Jewish mathematicians helped him and he saw the similarity between Jews and Herero. Few know of the carnage the Herero felt and the prequel they would be to the suffering insured by the Germans upon Europe. The final solution was not first implemented on Jews, but on Herero, who after rebelling for being abused, was nearly wiped out when Germans killed the men and marched the women and children en masse into the desert. More than half the population died before they were lead back into concentration camps. The concentration camps were slave labor camps where thousands of Herero died of malnutrition and starvation. Many also died due to scientific experiments conducted on them. The only thing to stop the German barbarity was the end of 1st world war when they handed over the land to Britain. However, the racism of the world would not go unpunished. Because Germans were killing local indigenous people, no one stepped in to argue on his or her behalf. German government felt nothing at the actions of their Generals. The generals and the soldiers were promoted. Europe would soon know the barbarity of these soldiers when Hitler would take these very soldiers as the architects of his army and the final solution. The concentration camp designer would perfect his designs, General Goering’s son would lead the Luftwaffe and the protege of the Namibian Concentration Camp doctor/butcher, Dr. Mengele would continue with the sadistic live human experiments he called science at Auschwitz. There is a lesson in Namibia, there is no evil we can ignore, evil unchecked spreads and soon envelops everyone. Racism, in the end, causes us all harm. This is what we spoke of at the table of Zvi, the musician, and one-time nightclub owner. We spoke of Apartheid of yesterday and of BDS movement today, to isolate Jews from the world, to dehumanize them, to repeat the butchery of yesterday upon the population today. We spoke of the changing world and the old Torah. These are the stories that flow in a Jewish home, thousands of miles from my home in Tel Aviv and San Diego. 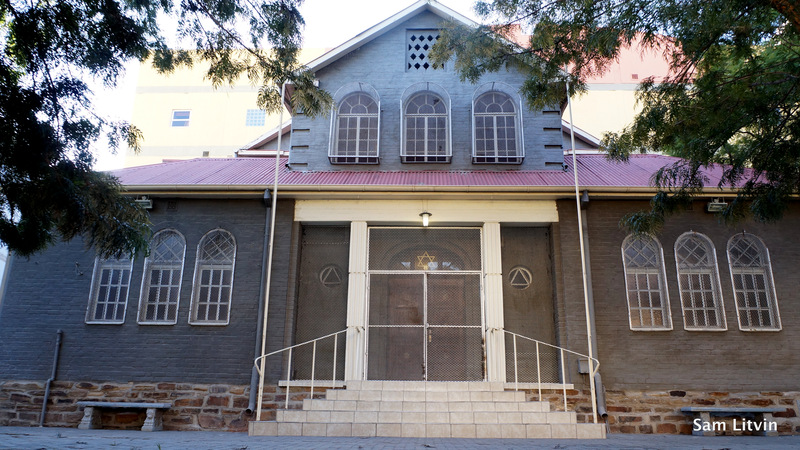 Today, the congregation still meets at the old Synagogue in downtown Windhoek. They sold the Synagogue which will be converted into a Jewish Museum, as they hope to buy a new place, closer to where the community lives so that it might awaken again. Until then, the prized hospitality of Namibian people, including the Jews, was shown to me in the Herrero, in the Afrikaans and yes, the Jews. Add your email for updates on new content and articles.